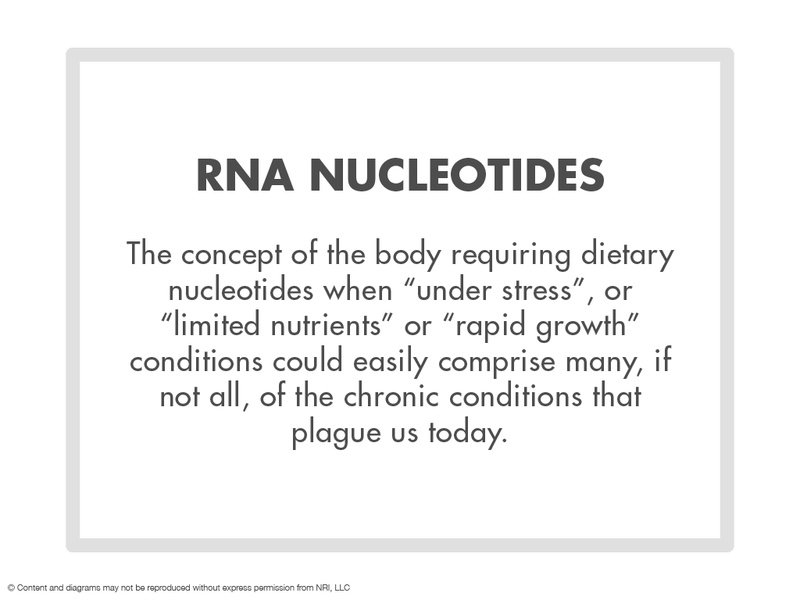 For years RNA was not considered to be an essential nutrient. It was thought that the body was able to make enough of its own RNA bases (purines and pyrimidines) that were needed to make new DNA or RNA strands in the body. To put this in terms of the example we have been using, it was thought that the body could make enough of each of the “beads”, orange, yellow, green and blue for any “necklaces” that needed to be strung together in the body. However, it is a fourteen-step process just to make a single adenine (just to make one blue bead); as you can see, the manufacture of each of these bases is a very energy intensive process! Under less than ideal health conditions the body relies more heavily on the ingestion of these building blocks from food and supplements so that it is not necessary for the body to manufacture each of these nucleotide bases “from scratch” in a multi-step energy draining process. Under these weaker health conditions, a larger percentage of RNA that is eaten or taken as a supplement is transported to the various tissues in the body where it is converted into completed RNA strands or “necklaces” in the relevant tissues. “During conditions of stress, infection, injury and trauma the demand for nucleotides is increased, in part due to the needs of the immune system. The ability of the body to produce its own nucleotides is insufficient for demand, thus necessitating support with nucleotides. In the absence of adequate nucleotides in the diet results in a loss of T helper cells and imbalances in cytokines. 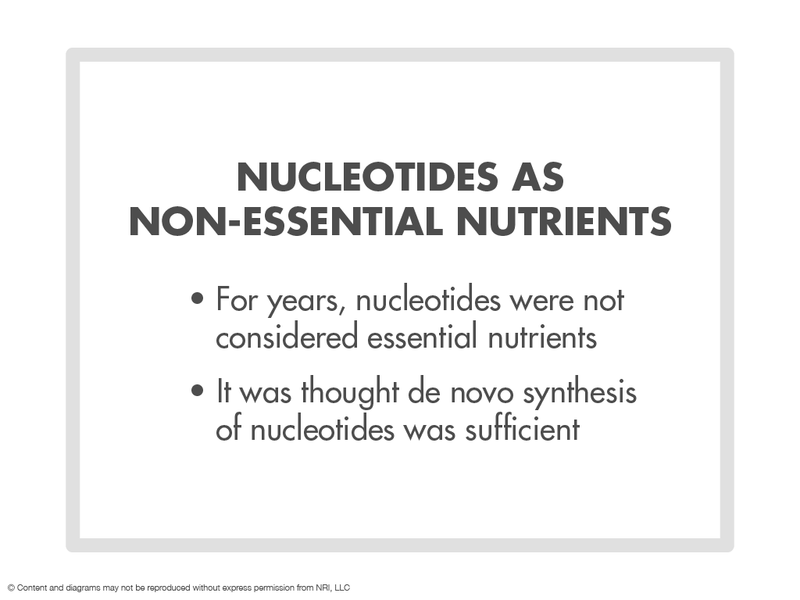 Additionally, in model systems the removal of nucleotides from the diet resulted in impaired mucosal integrity and function that could be reversed by supplementation with nucleotides” (Suchner, 2000). Certain cells in the body such as bone marrow cells, lymphocytes and erythrocytes are simply not even able to make purines (A and G) under any conditions. The intestinal mucosa, the lining of the intestinal tract, is not able to synthesize enough purines to cover its requirements. Furthermore, although nature has intended for everyone to have the ability to make their own RNA building blocks and to have the proper balance of nucleotides in the body, this is not always the case. The purines (A and G) and pyrimidines (C and U) that are absorbed from food and supplements help to address imbalances in the body under situations of stress, rapid growth and/or limited food supply (Hendler, 2001). 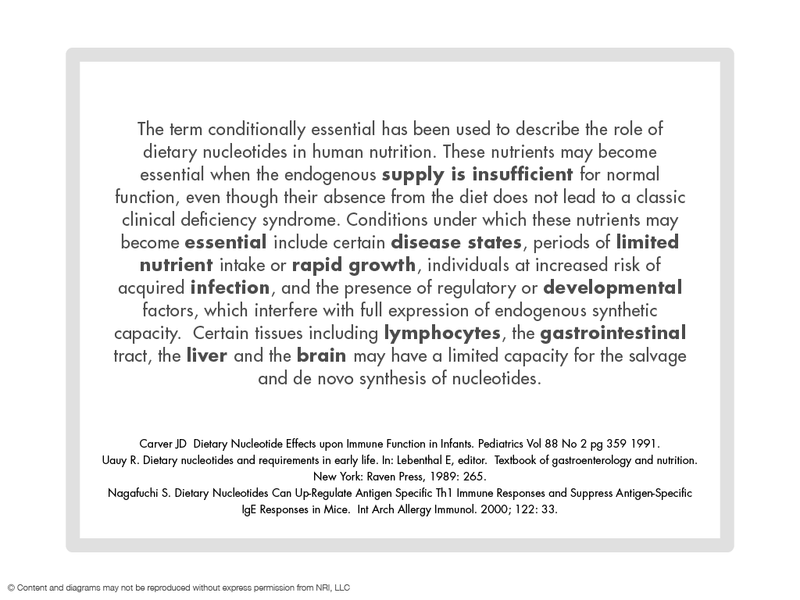 There are certain predisposing genetic mutations that lead to a requirement for dietary nucleotides. These mutations deserve special mention, as they are a particular problem when combined with exposure to environmental toxins and infectious diseases. These particular genetic mutations create a condition where RNA supplementation will be required. The “MTHFr” mutations fall into this category. This is a genetic mutation in one of the pathways that uses the B vitamin folate. Individuals with this mutation have a limited ability to produce the building blocks for DNA or RNA synthesis. This can lead to complex health issues including ADD, ADHD, Chronic Fatigue, Fibromyalgia, bipolar disorder, schizophrenia and autism, among others. There are at least two distinct MTHFr mutations that can be carried by an individual. One of these mutations has been well characterized and is a known risk factor for heart disease. The other mutation is not a risk for heart disease but leads to increased susceptibility to toxin and microbes. The combined frequency of these two MTHFr mutations impact at least 40% of the general population. One of the possible MTHFr defects (C-to-T mutation of nucleotide 677 of the MTHFr gene) is a factor in elevated homocysteine, which is often increased in individuals with coronary artery disease, arterial disease, and venous thromboembolism. In addition to heart disease, high levels of homocysteine are correlated with Alzheimer’s disease. Moreover, higher risks of neural tube malformations have been attributed to this mutation. 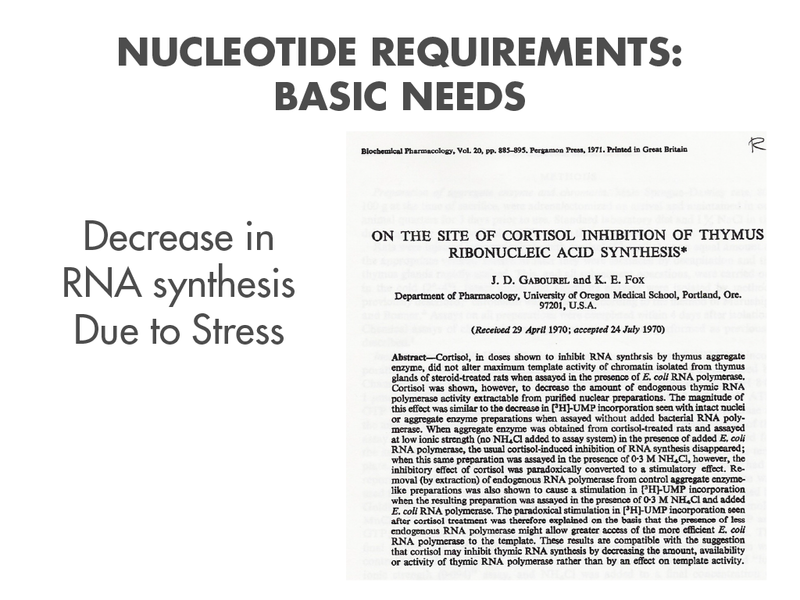 According to the Physicians Desk Reference (the PDR) RNA dietary nucleotides are required under conditions of stress, rapid growth or when the body is compromised such that its nutrient supply is limited. Given this description from the PDR it is easy to understand the vast literature that is accumulating to support the use of RNA nucleotides for a variety of conditions. 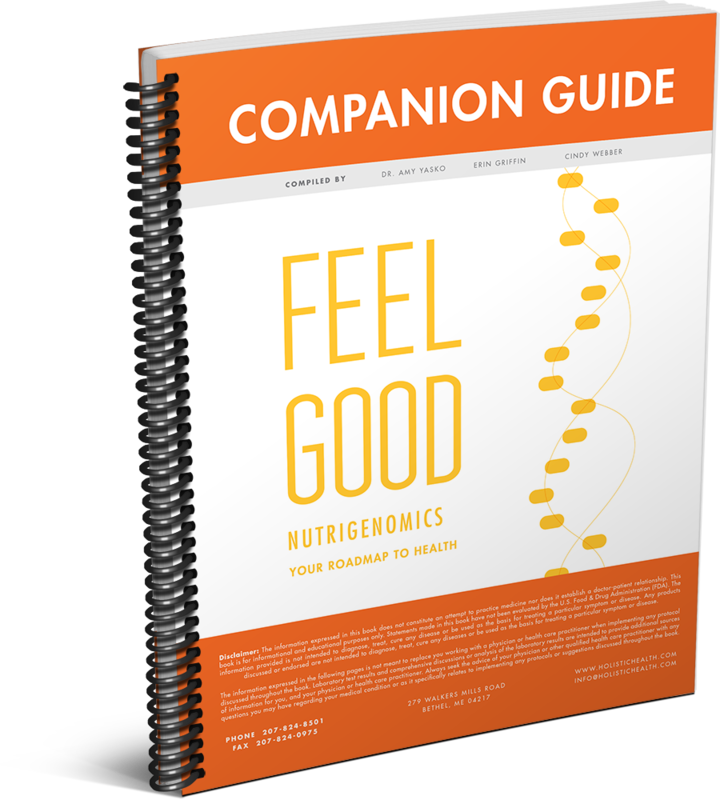 The concept of the body requiring these nutrients when “under stress”, or “limited nutrients” or “rapid growth” conditions could easily comprise many, if not all, of the chronic conditions that plague us today, as well as the genetic conditions described above. In the past it has been assumed that when the body is not under metabolic stress, rapid growth or limited food supply, these bases or nucleotides can be made in our cells and the extras broken down and excreted from the body. Yet even in the absence of health issues, it is becoming more apparent that additional support with nucleotides is beneficial. In circumstances like periods of high growth, intense physical exercise, recovery from injury, infection challenge to the immune system the rate of synthesis does not meet the body’s demand for nucleotides. “Rapidly proliferating tissues, such as the immune system or the intestine are not able to fulfil the needs of cell nucleotides exclusively by de novo synthesis and they preferentially utilize the salvage pathway recovering nucleosides and nucleobases from blood and diet.” (Gil, 2002). 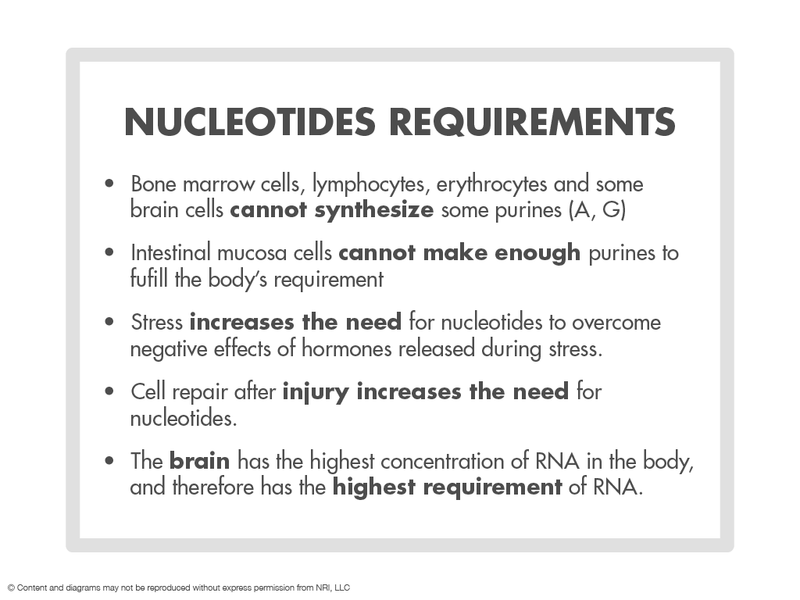 Even in the absence of repair to injury or special needs (such as immune response to infection) there is still a tremendous burden on the body for nucleotides to merely replenish existing cells. Maintenance of cells used by the body daily requires the production of new cells. Cells have varying lifespans, with their own respective requirements for additional nucleotide support. Neutrophils which are part of the immune system can only survive for about 12 hours. Eosinophils live about 3 weeks. Basophils last about 3-10 days. The life span of B lymphocytes that produce antibodies ranges from 4 days to 5 weeks. T lymphocytes can last either a day or two or for months depending upon their battle with foreign substances, red blood cells live 120 days. Platelets live for 10 days, skin cells for about a month, stomach cells 2 to 5 days and colon cells 3 or 4 days and liver cells 200 to 500 days, spermatozoa three days (Wade, 2005). 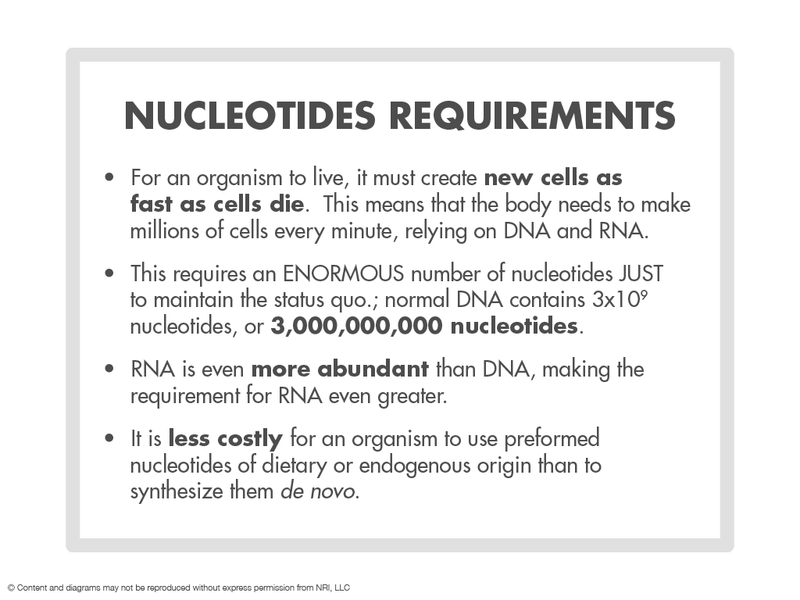 Considering that it takes approximately 6 billion nucleotides to duplicate a single cell, it is evident that it is necessary to supplement the internal supply of nucleotides in the diet.